Being an expert of the field, you know far better than others how effective a business card may be. Making one swift exchange of a small paper piece with the right person can get you a promotion, an interesting well-paid project to do or even the job of your dream. Business cards for graphic designer are not only tools to share contact information; they also are your personal so-to-say exhibition or showcase items. The moment you give your card to the recipients, the impression it produces may become the key turn in your communication. It should demonstrate your skill of working with design system constituents like palette, arrangement and typography. It must mirror the design field you specialize in, be it the web design, illustrations or motion graphics. It has to show how smart you are at highlighting the most important information and applying it to the graphic space you have, and how well you make use of the “negative space”. 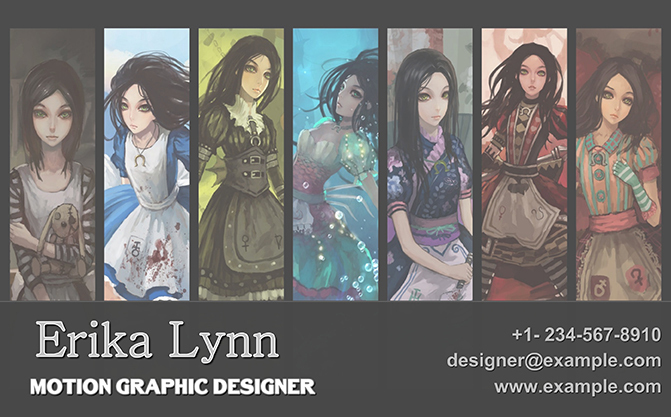 Business cards for graphic designer can be created using any graphic editor you have on your computer, but who doesn’t want to have a special tool for making cards? 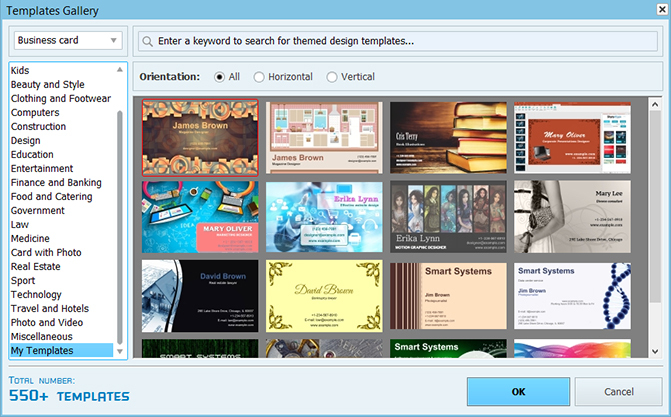 With proper card creation software like Business Card Maker, you can create cards for any other profession or craft using ready-made templates that will save your time and produce high quality designs in just a few seconds. Time is precious, so why lose it working in programs that do not specialize in card design? Besides, with Business Card Maker even a non-designer can create real pearls for sale or for company employees. Thrilled? Discover the ideas below to create a perfect business card! As you do all types of images for magazines or brochures and work with concepts and typography, one of the ideas for you is to create a newspaper styled business card. Using a textured background and “breaking news” fonts helps you to create an image of a trustworthy expert who is always ready to work. 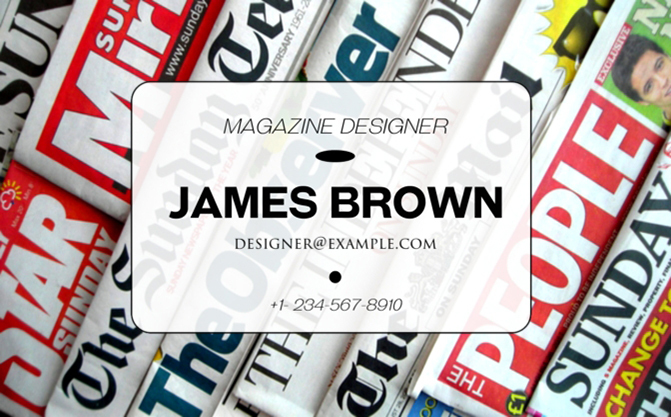 With Business Card Maker you can simply choose one of the templates and enter your data. Then the software will print the cards immediately using your home or office printer, or you can save the layout and have it printed in a print shop. If your job consists in working with marketing tools and materials like flyers, postcards, posters and mailouts, you should highlight your ability to work with appealing infographics. Work with opacity settings of the graphic elements to achieve the perfect look. Adding a bit of humor is always a good idea, as the main purpose of graphic design is communication! 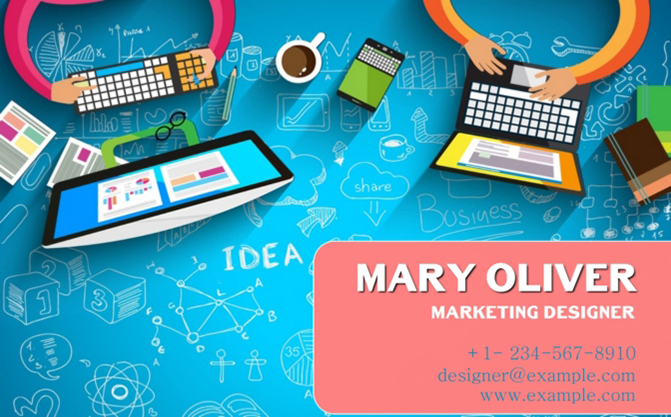 Business cards for graphic designer that works with corporate presentations as well as with logos and catalogues should have one feature that other types just can’t – it should encompass all the multimedia skills you possess. Producing and delivering visual presentations for internal and external clients makes you the director of the company’s business affairs story. 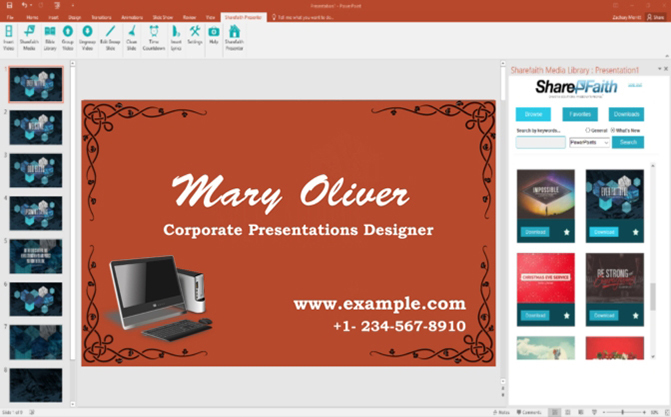 Using screenshots of the software interface you work with for your projects is an ingenious trick that will make your business card stand out of the pack. For the ones like you, a clean look is the thing that will set you apart. If you create comics or deal with scientific illustrations, it is advisable to add some of your works to the cards design. Business cards for graphic designer like these usually become real trademarks. 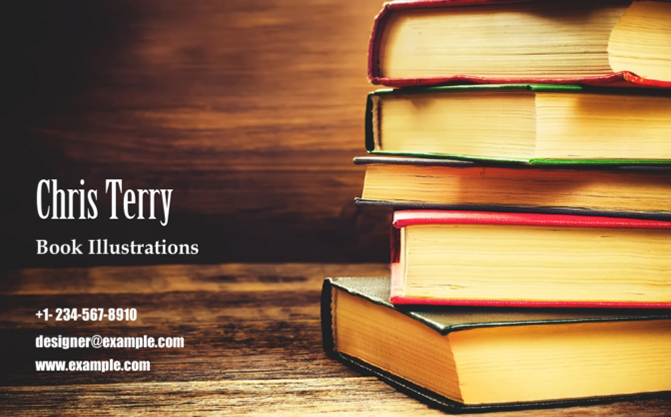 Using book covers or a colourful broadside as background pictures will certainly make your card feel more upscale. The world of the motion graphics evolves frame by frame. In your card design, you can create a collage with several pictures showing the stills from your portfolio. Crop several images and arrange them in a row. Add a semi-transparent rectangular shape on it to create a matte effect. You can also adjust the outline of the shape to make your card look even more modernist. With all these awesome ideas how can you not create a stunning card design? 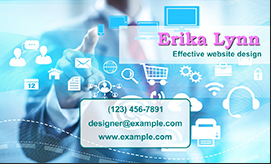 Install Business Card Maker, check out the templates and then it’s all up to you. Start designing the card of your dream right now!